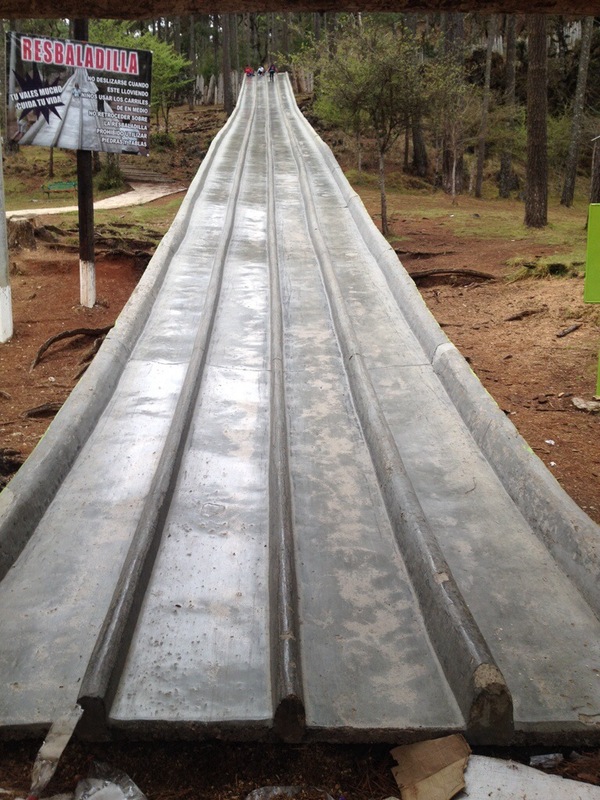 And slide down a 30 meters concrete slide just outside the caves Rutas de Rancho Nuevo near San Cristobal de las Casas. After a few trials and much practice, the best technique is to sit on a squashed plastic bottle and placing the heels of the feet on another. This will help you speed to such a velocity that will make you finish flying into a big pile of sawdust just so you can stop.